“You’re a cosmic fluke. The stone in the stream.” Caroline Sharp, AKA Eternity Girl, has held the mantle of superhero, spy, office worker, and most recently – immortal and unemployed. 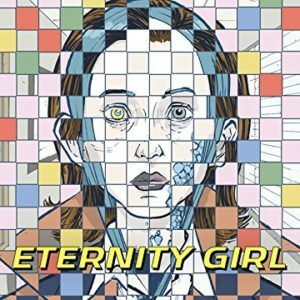 Written by GLAAD Media Award-nominated writer Magdalene Visaggio (Kim and Kim) and illustrated by Eisner-winning artist Sonny Liew (The Art of Charlie Chan Hock Chye), Eternity Girl follows the titular heroine as she deals with the existential dilemma of eternal life. Recently dismissed from her desk job at Alpha 13, Caroline has been struggling with every aspect of her powers. Her ability to shapeshift is waning, her body fades in and out like waveforms, and she cannot feel pain or die. With no obvious purpose, she pushes forward with repeated suicide attempts, each time hoping that her efforts will be rewarded with the afterlife. Although she outwardly professes her wish to return to a normal life, one question becomes clear – which world does Caroline Sharp truly wish to be a part of? Does she want to get back to work with Alpha 13 or does she want a clean end to an eventful life? These questions become even more weighted as the plot takes off when the Eternity Girl’s nemesis, Madame Atom, returns from her apparent death to offer Eternity Girl her wish – an ending. What’s the catch? Her life can only end along with those of the entire world. The melancholic narrative of Eternity Girl hinges on the despair and inherent loneliness that comes with a life that won’t end. Stuck between the physical world and a peace she cannot reach, Caroline Sharp languishes through the panels and brings a sense of emotional reality that more connected to literature than graphic novels. 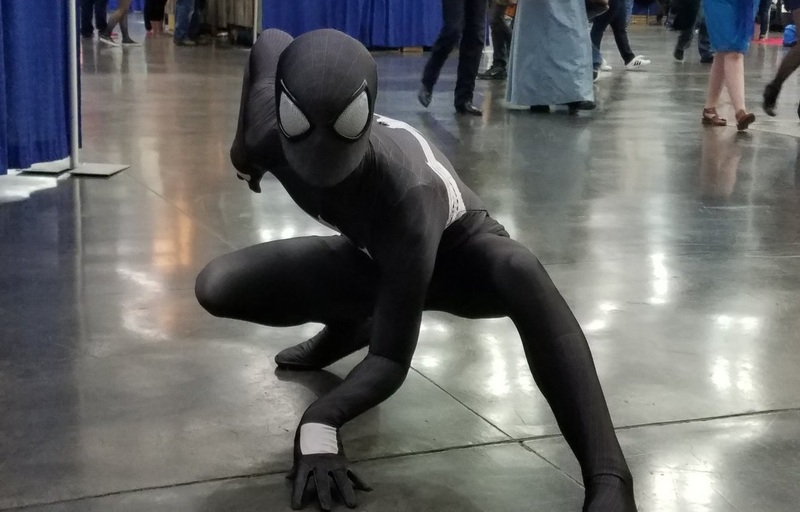 Her struggle provides hardline aspects of depression and hopelessness and the effects it can have on the world around us – especially when one has superpowers. Eternity Girl not only wrestles with the banality of existence via its excellent script by Magdalene Visaggio, but it also uses impressive art by Sonny Liew that touches on the fragility that is exemplified with Caroline’s physical form. Drained of the ability to control her powers, the amount of energy that is required to keep up “normal” appearances (think Nightcrawler’s disguise in X-Men) is too much to handle. The character design shows the duality of Caroline – stuck between two realms with nothing to ground her. 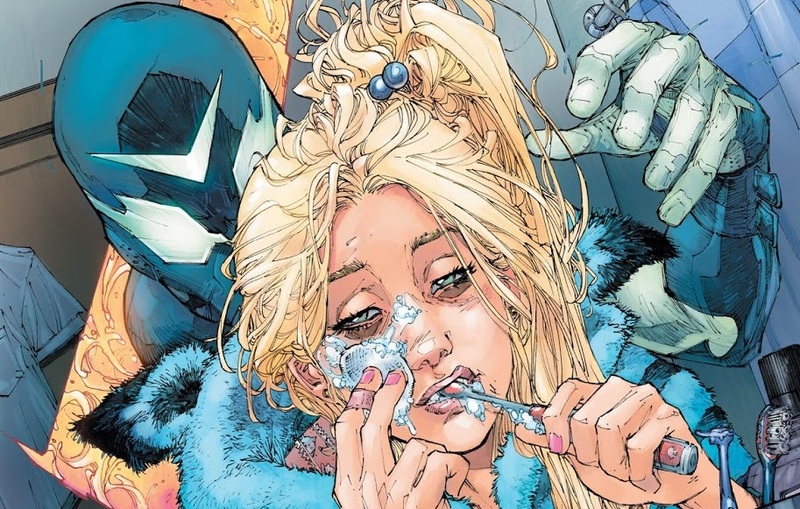 This physical differentiation is enough to pull Caroline further into her depression, shown in the distinct blue and green tones colorist Chris Chuckry uses to convey the emotion. The idea of not having a true physical form further clouds her mind as she begins to struggle with the definition of real – and whether she is or not. 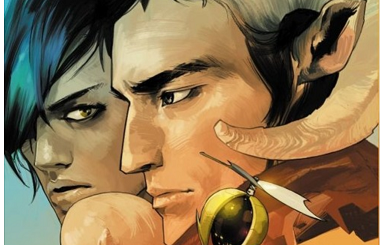 DC’s Young Animals print continues to push the boundaries of the mainstream superhero stories, using new or underutilized characters to explore new realms of storytelling. 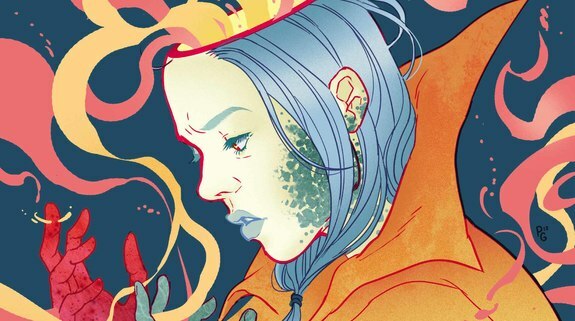 Already limited to six issues, Eternity Girl is shaping up to be one of the must-read comics of an already stellar year.